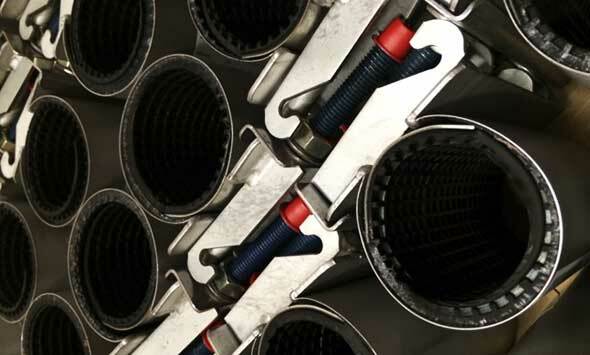 Since the late 1980’s we have been manufacturing stainless steel repair clamps. Tracon international has representatives in over 40 countries worldwide. However as we are expanding globally at a rapid pace, we require representatives in every part of the world. Our repair clamps are 100% stainless steel, AISI 304 or AISI 316, and are used for emergency and permanent repairs of holes, cracks, pitting or breaks in pipes. The standard range is from DN15 to DN600, but we can also manufacture larger sizes. The NBR gasket has a waffle structure to give a firm seal to irregularities on the pipe surface. EPDM and Viton gaskets are also available. 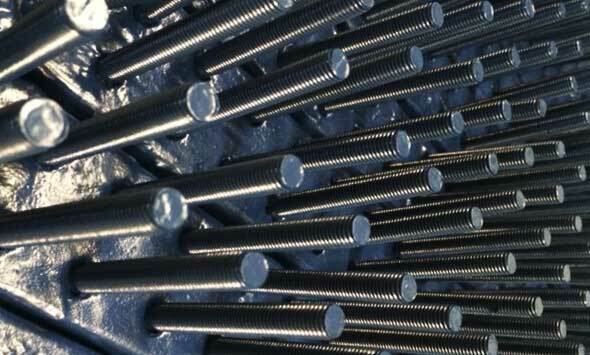 The bolts are Teflon (PTFE) coated and protected with plastic caps. 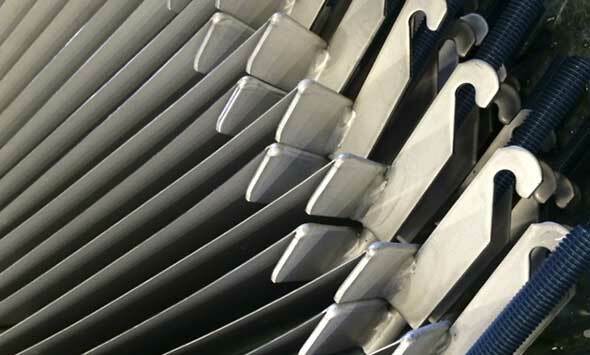 All parts are welded by robot to ensure consistent precision and high quality. 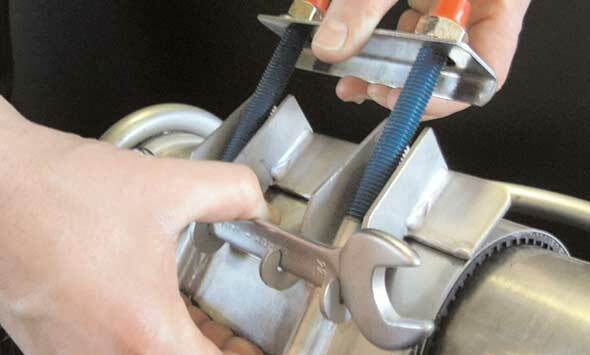 After welding, the repair clamps are 'passivated' - chemically treated to obtain a high resistance to corrosion. Tracon international has representatives in over 40 countries worldwide. However as we are expanding globally at a rapid pace, we require representatives in every part of the world. If you are interested in the possibilities to cooperate, just contact us.